This project has saved me frequently from the "Agony of Defeat!" Straight-forward. Easy to burn. Easy to use. None that I've discovered yet! The first place I go for help with hardware or software. RAID out of sync? Failing memory? Hard drive ready to meet its maker? Search no more. 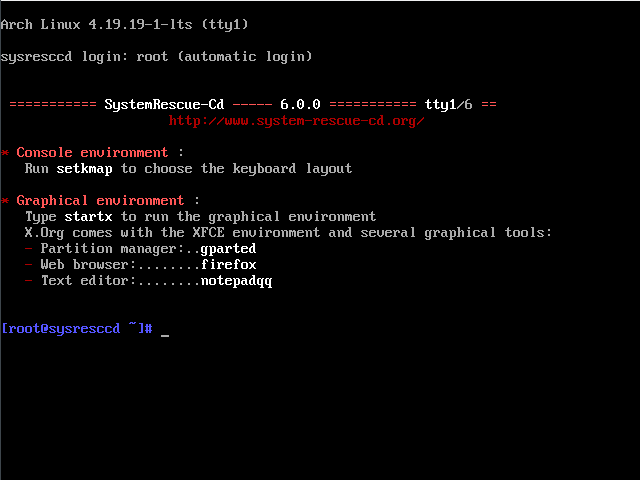 I've been using systemrescuecd for a lot of years and it is always my first choice for rescue distros. 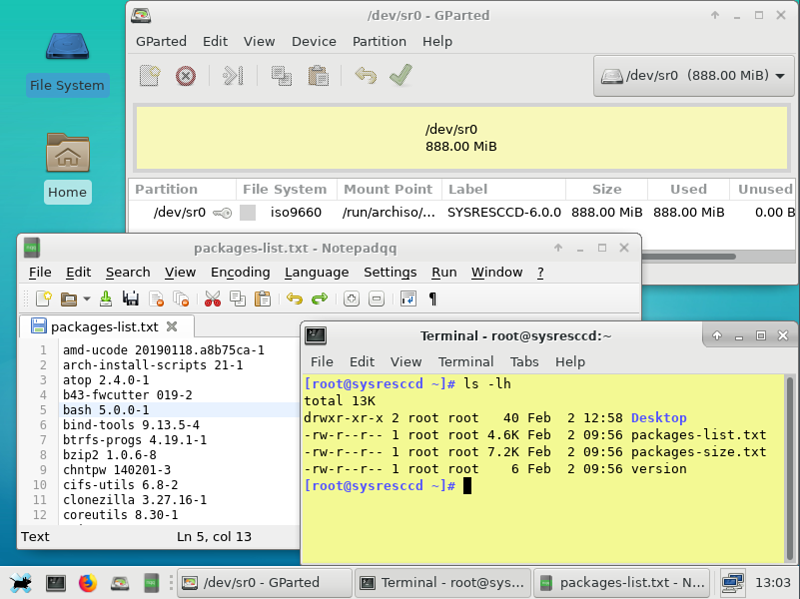 Lightweight, fast, has all the needed packages,new versions of packages, desktop if needed. [Storage] File /releases/6.0.3/systemrescuecd-6.0.3.iso has been updated. [Storage] File /testing/systemrescuecd-6.0.2-beta001.iso and other 9 files has been removed. 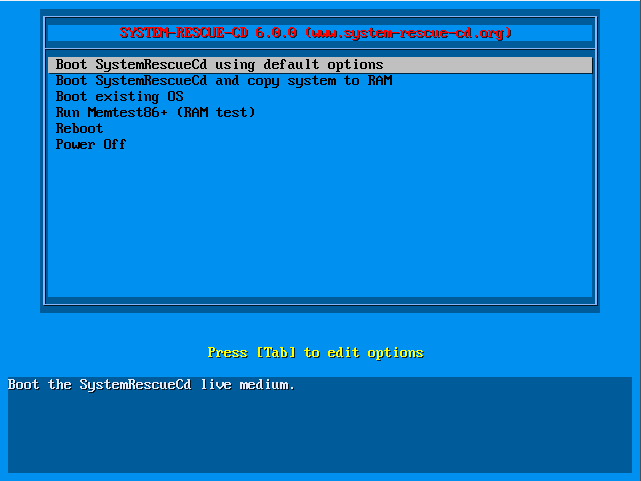 [Storage] File /releases/6.0.2/systemrescuecd-6.0.2.iso has been updated.